Grindfather prod prepare for you something very rad! 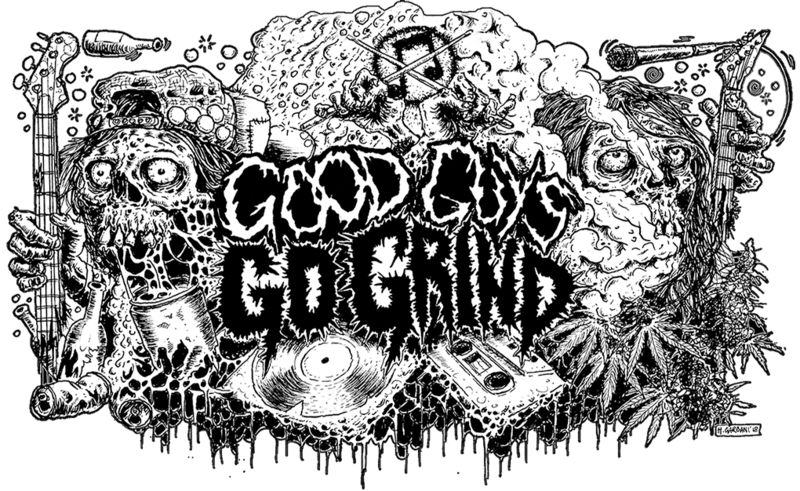 Continue reading Grindfather prod prepare for you something very rad! News Nihilistic Despair Records camp! Continue reading News Nihilistic Despair Records camp! Very last news from Grindfather for 2016! SxOxTxEx – t-shirtExistench – – t-shirt Agathocles/Existench – split 7″ Couple Skate/Girth – split 12″ Agathocles – Bulldozind Bucharest – live tape Archagathus/Haggus – split 7″ Foe more info just write to: grindfather.prod@gmail.com Continue reading Very last news from Grindfather for 2016! Hm I think it’s already third purely Canadian split that I review this year. But this only proves that canadian scene is growing and nothing can stop it. On this piece of plastic we can see crusters Skunk and old grinders Existench (this is their first record after reunion). Externals of this split look very pretty. Good and sharp social theme (yep today it wouldn’t surprise anyone but the artist did a very good job) All this biological remains, worms, chemical factory on background all this stuff designed in best traditions. Skunk are first one, they begin this split. I … Continue reading Skunk/Existench split 7"
Split Deboned / Existench is out! You can order this split thru: Morgue Ritual Records, Outrageous Defecation records, EveryDayHate, Grindfather prod Continue reading Split Deboned / Existench is out! Split Skunk & Existench finally out! Grab your copy at Nihilistic Despair rec or at Outrageous Defecation rec Continue reading Split Skunk & Existench finally out! Big news from Scull Crasher rec! Continue reading Big news from Scull Crasher rec! Guys from Deboned needs in your helps! They looking for label/labels who wants to release their split with Existench! If any label interested in it (or you can help them to find it) contact with THEM! Continue reading Help! Help! Help!